A new report coming out of England indicates Toyota and BMW are in the early stages of developing a mid-engined sports car aimed squarely at the Porsche 911. 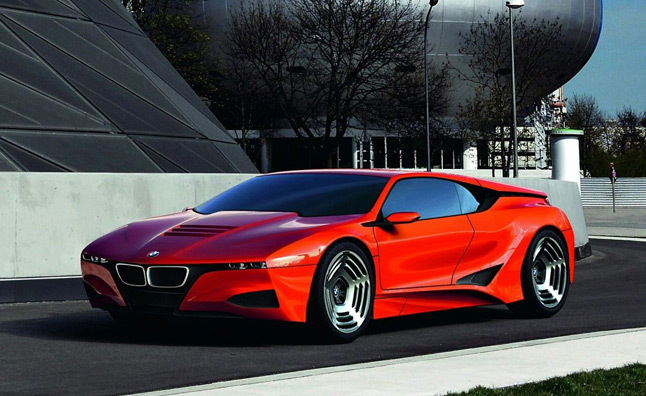 Called Silk Road 2 internally, both cars will be developed in Munich, Germany, by BMW's M division. The two models will be powered by a plug-in hybrid drivetrain consisting of a twin-turbocharged 3.0-liter straight-six gasoline-burning engine and a small electric motor linked to a lithium-ion battery pack located between the front seats. Combined, the two power sources are expected to send anywhere between 400 and 500 horsepower to the drive wheels via a quick-shifting seven-speed dual-clutch transmission. The cars will tip the scale at less than 3,650 pounds thanks to the widespread use of weight-saving materials like carbon fiber and aluminum. Composite brakes, an electric power steering system and an adjustable suspension setup will be part of the package. Both cars will debut as two-seater coupes but they will not share any styling cues. The yet-unnamed BMW model will be heavily inspired by other members of the automaker's lineup while Toyota's version will likely be badged as a Lexus and billed as the LFA's smaller sibling. Sources close to BMW told British magazine CAR that the upcoming 911 fighters will carry a base price of approximately €90,000, a sum that converts to roughly $122,000. Both cars are tentatively scheduled to debut in late 2018 at the very earliest. The two companies are busily developing a second sports car that will be unveiled in the near future. BMW's version of the car will replace the aging Z4, while Toyota's model will slot above the Scion FR-S. Details are scarce, but the companies have revealed the cars will feature a gasoline-electric hybrid drivetrain and either rear- or all-wheel drive.